SINGAPORE – Instead of relying on surprise inspections to ensure workplace safety, the Manpower Ministry has been piloting a new method of doing so – by also informing firms with poorer records of how they perform relative to others in their industry. 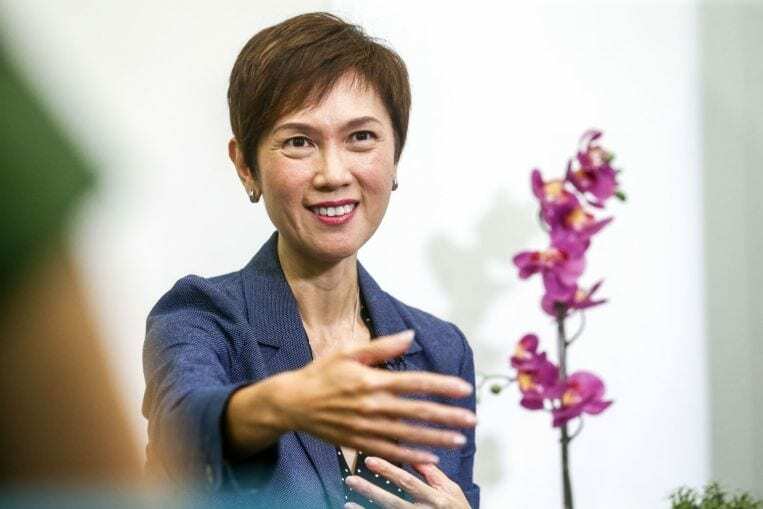 This marks a change in the ministry’s regulatory approach, said Manpower Minister Josephine Teo on Wednesday (Aug 29). Apart from deterring lapses via inspections and highlighting companies’ unsafe practices – as it is doing now – it may no longer need to inspect each and every firm to boost safety. “Through this experiment, we found that the combination of benchmarking information and commitment to strict enforcement… encouraged the company management to reassess safety practices in all their worksites,” said Mrs Teo of the Ministry’s pilot, which started last year at areas such as construction sites. There are plans to expand the pilot, which is based on design thinking and behavioural insights, in time to come, said Mrs Teo. This change accompanies preliminary recommendations made by a Tripartite Strategy Committee, which was convened this year to develop a 10-year plan to improve Singapore’s Workplace Safety and Health (WSH). It is headed by chairman of the WSH Council, Mr John Ng, and consults industry stakeholders to form its suggestions. While Singapore has had an average workplace fatal injury rate of 2.1 over the past decade, and achieved a record low rate of 1.2 last year, Mrs Teo noted that this “is not yet a sustained level of performance”. The aim now is to reduce and maintain the Republic’s workplace fatal injury rate at less than 1 per 100,000 workers from 2018 to 2028. To do so, there are three areas of improvement which can be made, said Mrs Teo at the opening of the biennial WSH Conference 2018 in Suntec Singapore on Wednesday, attended by close to 900 delegates from 23 countries. One, the workplace safety performance of companies can be made more transparent, allowing buyers of goods and services to compare this across different firms when making procurement decisions. Second, experts in safety and health can also be trained, through bridging courses, to manage risks in both areas rather than specialising in either safety or health, added Mrs Teo. For example, workers who have chronic conditions such as diabetes may experience dizziness or poor vision while handling machinery – leading to accidents. This is why there is a need to help professionals manage the balance between work, safety and health, Mrs Teo added. Third, technological advancements such as data analytics can be tapped to improve workplace safety, she said. Sensors and the Internet of Things can help engineers predict if a machine is going to break down, allowing them to take pre-emptive actions, while virtual reality can be used for immersive training, testing workers’ reactions to risks at work. “Human capital is Singapore’s only resource and we must aspire for our WSH standards to be among the best in the world,” said Mrs Teo. “While these changes pose significant challenges to the workplace, they all present opportunities for us to uncover new ways of doing things to elevate safety and health standards at the workplace,” he said.